Get a SunRail card. Getting a ticket at the station can set you back if you get to the station without enough time (as we discovered). With the pre-loaded card you simply walk up and tap your card against the reader. Avoid peak trains. While there is ample room for bikes, if you have panniers or a trailer (or a tandem with a trailer, as we did) your bike will take up more room. 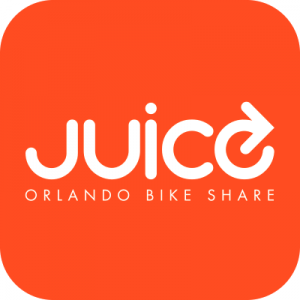 We headed north from downtown Orlando early in the morning, so our car was virtually empty, but if we’d boarded at Sand Lake station we’d have likely shared the car with more commuters. SunRail gets a surprising amount of midday riders. For experienced bike tourists, packing for this tour is easy. Most of the year you can dispense with cold weather gear. If you’re staying in motels or inns or B&Bs you can pack very light. Of course rain can be an issue any time of year, but from June until mid-October you’re almost certain to get rained on. If you’re cold sensitive you might want a rain jacket, but otherwise the rain won’t be very cold except maybe in January and February. Definitely pack a swimsuit. Sunscreen will be necessary year-round. Don’t have a whole week, or aren’t up for that many miles? Take a four-day weekend by riding the train to DeBary on a Friday and biking to Blue Spring State Park to camp (or stay in a cabin), swim, canoe, hike or mountain bike, then come back on Monday. 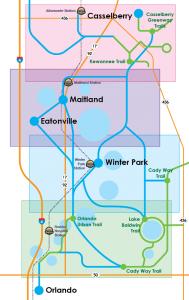 When the East Central Florida Rail Trail is completed from DeBary to Titusville other four-day options will be more feasible. It will be about 40 miles by trail (it’s currently 55 miles using Maytown Road and US 1). You could bike to Titusville on a Friday, play there for two days (kayaking, the Space Center, birding along Black Point Road, etc), then bike and train back on Monday. If you can handle more miles, Crescent City is within reach for a four-day weekend as well; it’s about 55 miles from DeBary. Conversely, you could “go long” and take two weeks. There are so many things to see and do along the way that a two-week tour would be a great trip. For those who live along the loop, you could use SunRail (or the Cross Seminole and Cady Way trails) to include an urban detour to your trip. Spend the night in a downtown hotel and take in a game or a show in the Amway Center or the new Dr. Phillips Center for the Performing Arts. 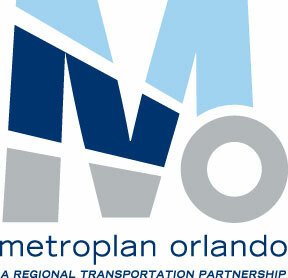 Maps and cue sheets are available through the East Central Florida Regional Planning Council. Planning to take a trip on the Loop? Let us know in the comments! This sounds so much fun. And aside from that we get to enjoy touring the place by just riding a bike! This is one of a kind beautiful and healthy trip.